Anyway, their flag: pretty basic- and despite last week's little HTML snafu (weirdly the borders I put around the flags showed up in 'compose' mode, but not in 'published' mode. I'm still puzzling it out.) The flag was adopted for national and civil usage on June 24, 1937. The red and blue have been colors of the country since the 18th Century and the crown was added in 1937 to distinguish their flag from the flag of Haiti, after some confusion at the 1936 Olympic Games in Berlin. Fun fact: it can be hung vertically or horizontally but the crown always remains upright. 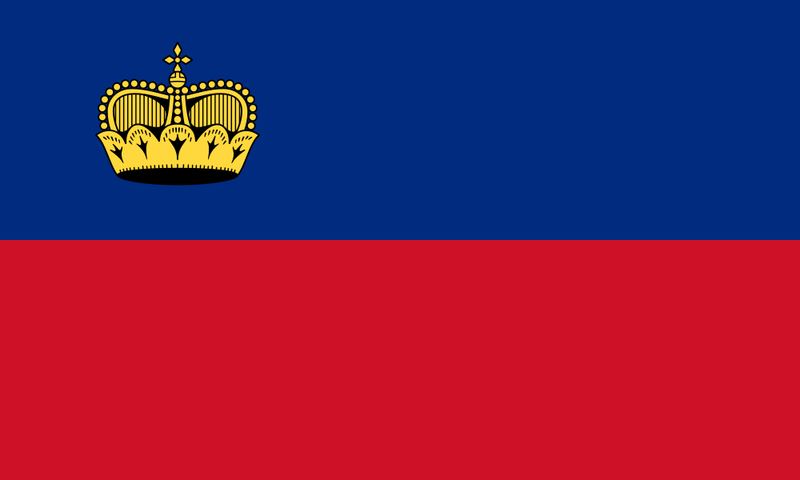 That's the flag of Liechtenstein! Remember, until next time keep your flags flying, FREAK or otherwise!